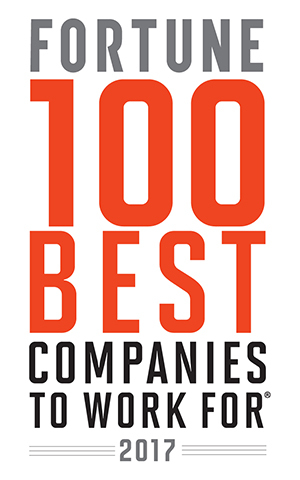 As one of FORTUNE’s 100 Best Companies to Work For® since 2004, Baird recruits and retains some of the industry’s most talented professionals as well as top graduates from the nation’s finest universities. We are committed to providing our associates with a collaborative work environment, professional development, and the opportunity to develop a keen understanding of the industry. The result is a true team culture with extremely low turnover. Entry-level Sales Brokers work closely with senior Sales Brokers in a structured team environment, with a primary focus on research distribution to institutional money managers. In this position, associates are exposed to a broad array of research and investment banking products, which are marketed to the investment management, mutual fund, pension fund and hedge fund communities. Associates are encouraged to accept project and client responsibilities. Following an initial period, Sales Brokers are expected to assume primary responsibility for account coverage. Entry-level Principal Traders work closely with Senior Traders in a fast-paced environment that emphasizes teamwork. Associates are thoroughly trained regarding the function of U.S. equity markets. Traders assigned to the over-the-counter (Principal) desk also learn the intricacies and functionality of Baird's principal trading systems. After an initial period, Principal Traders are expected to assume market-making responsibilities for trading stocks in a specific industry. Entry-level Sales Traders at Baird work closely with senior Sales Traders in a fast-paced environment that emphasizes teamwork. Associates are thoroughly trained regarding the function of U.S. equity markets. Those assigned to the sales trading desk will also learn the function of U.S. equity markets, with greater emphasis on day-to-day, fundamental research-driven trading activity. Sales Traders are generally assigned to work with customers based in a specific geographic region and are expected to buy and sell securities upon customer request. Sales Traders are also expected to form strong relationships with the customer's entire trading staff. Trading Support professionals perform analytical and technical support for Baird's Equity Trading team. This includes daily planning and implementing of FIX network connectivity, troubleshooting and problem resolution, maintenance projects, product evaluation and testing as well as assisting with new system installations and upgrades. Qualified individuals will function well in a team environment, interfacing directly with Equity Sales and Trading professionals, clients, vendors, IT and compliance specialists. Trade Billing Assistants perform trade allocations for the Equity Trading team. Qualified individuals will utilize excellent organizational skills in performing duties that include matching, entering and allocating tickets; resolving trade problems; and maintaining accurate records. Research Associates provide comprehensive industry and company coverage for both institutional and individual clients. Research Associates have the opportunity to work with nationally recognized Senior Analysts in a department that has an international reputation for excellence. The quality of Baird's research has helped us become one of the largest full-service investment banking firms outside New York. Baird typically hires recent college graduates for Research Analyst positions. Our team approach to research enables analysts to continually interact with professionals throughout the firm. Baird prides itself on the fact that, early in their careers, Analysts begin working closely with both Baird’s Senior Research Analysts and senior management teams of the companies Baird covers. Learn more about Baird, our culture and our people.